Lovely review Rita! I love this story too and the way you captured it here is great. I love that there are no spoilers. I feel like this is a book that has a lot for the reader to discover on his/her own! Thanks Claudine – I agree a spoiler free review that still captures a book’s essence is a tall order but Rita has done it here which I love. Thanks for visiting and commenting and supporting The Elizabeth Papers on her travels! I am so happy to read this engaging and spoiler-free review. I love love love when a reviewer/reader really gets the author’s intent. That to me is success! I can’t wait for more to read–I feel like I’ve been keeping this secret as long as Pemberley! Thank you for your time in crafting and sharing such a thoughtful review. Oh boy! I can hardly wait to read this – a mystery and JAFF together. Sounds like a one-night read, to me! Such an intriguing review without spoilers which I prefer as well! I enjoy the journey of learning on my own. Soooo looking forward to reading this book! I would like to wait though until I can get it in book format! I have Jenetta’s ‘Suddenly Mrs. Darcy’ in paperback and would like to continue my ‘collection’ of her novels this way. Thank you Jenetta! Believe it or not, I’m not on Facebook or Twitter! I just signed up for Goodreads this year! I will keep watch there! Wonderful review. Part of what makes this story so special is how real the Darcy’s marriage is. A great review Rita. This seems to be an intriguing book,two parallel stories in one. Am looking forward to reading it. Thank you for such interesting review! It made me even more curious about the book which I surely add to my growing list of books to be read. I liked Suddenly Mrs.Darcy and I look forward to reading new book by Jenetta which has intriguing legal and detective turns and twists of the plot. Finished! Came back to see your thoughts. Yes, I agree about the twofer and the comparisons between the couples. Thank you Sophia, I’m so pleased that you liked it! Great review. I also endorse the recommendations. 5 star read for me. The cover is also beautiful. Thanks for the wonderful review, Rita! Suddenly Mrs Darcy was amazing but this sounds even better. I can’t wait to read it and I’m sure I’ll love every word. 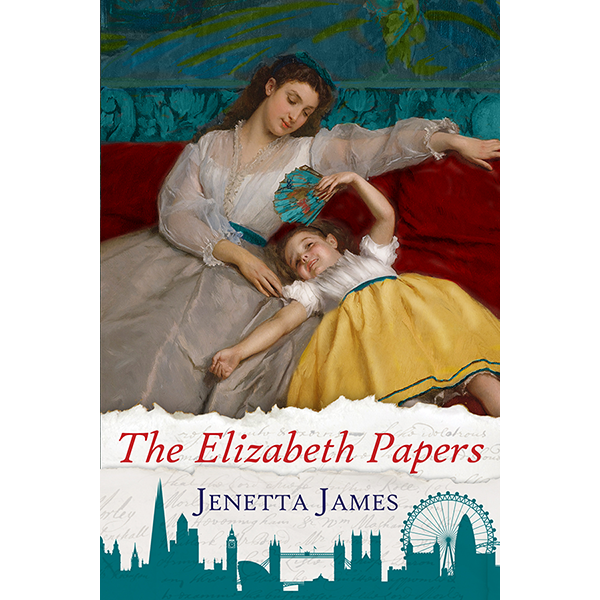 I’m especially drawn to the idea of Elizabeth and Mr Darcy having to work at their relationship, and that it’s not all just love, smiles and plain sailing after the “I do.” Thanks for another fabulous book, Jenneta! Já está na minha wishlist da Amazon! My list of books to buy/read is getting fatter and mostly filled with JAFF! All because you said: “hey, have a look at my blog, I have a book giveaway and I know how much you like to read. By the way, do you like Pride and Prejudice?”…and bam! The Unthinkable Triangle in my kindle and I was hooked! Thank you for bringing me into this and to you for the wonderful work you do here, creating such interesting reviews while being able to keep them spoiler-free and making us wanto to read at the same time! And thank you to Mrs. Jenetta James, for sharing her writing with the world! I haven’t had the pleasure yet of reading one of yours, but I am thouroughly convinced of doing so ASAP, especially after reading such positive remarks from other readers! I was already interested in this book, but the tiny additional glimpse here just added to my excitement! I love how you teased us without any true spoilers, Rita, both in the review and in the comments. Congratulations to Jenetta on this excellent review. So many great reviews! Can’t wait to read it!